The Indian boxers created history when the won 6 gold medals to claim the overall title in the Commonwealth Boxing Championship in New Delhi. Vijender Singh, who recently became world number 1 according to the AIBA (International Boxing Association) rankings in the middle weight category beat England’s Frank Buglioni 12-3 to claim the Gold medal. Along with Vijender, Amandeep Singh (49KG),Asian champion Suranjoy Singh (52kg), World Cup bronze medallist Dinesh Kumar (81kg), Asian bronze medallist Paramjeet Samota(91+ kg) and Jai Bhagwan (60 kg) also won Gold medals in their respective categories. This is indeed a proud moment for the boxers and their families. 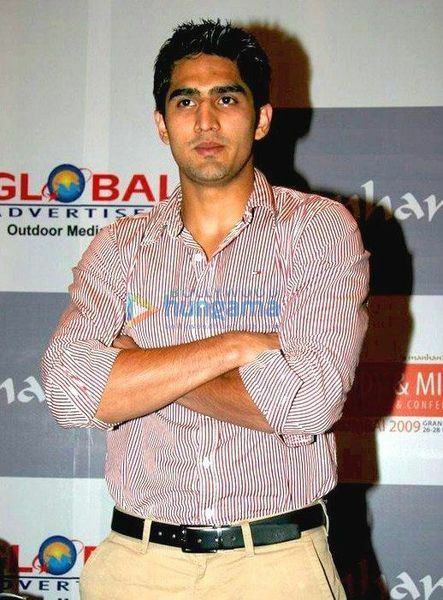 It has to be noted that only recently the Indian boxing team received sponsership and Vijender signed a multi-million dollar deal with Percept Sports Management company. This indeed is great for the sport in India and the success acheived by the boxing team will for sure generate more interest in the country. Congrats again to the boxing team for creating history and also to Vijender on becoming the number 1 ranked boxer in the world in the 75 KG category.